Maryland Sewer & Plumbing Service Inc.
Count on locally owned Maryland Sewer & Plumbing Service, Inc. for all your plumbing needs. Since 1985, our pros have given you FAST, courteous service when you need it most. Don’t wait for a water or sewer line to back up and threaten your health. Count on our emergency sewer and drain cleaning services to keep the water running smoothly. If you have problems with your hot water heater, give us a call and we’ll have it working again in no time. We’ll put a stop to any damage and have it running again quickly. 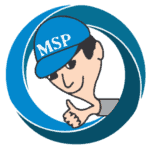 Fix it Right the First Time With An Experienced and Expert Plumbing Company You Can Trust! Maryland Sewer & Plumbing Service is a full-service plumbing and sewer company serving Anne Arundel County and the Baltimore Metropolitan area. Our technicians provide professional, same day service seven days a week, around the clock. We know that plumbing and sewer issues are not always something you can put off until tomorrow, so thats why we offer 24/7 emergency service for our wonderful clients. Our plumbers will arrive at the set appointment time, ready to tackle your problems from the start through a thorough inspection of the issue and a reasonable diagnosis of how to fix it. We provide an upfront estimate of the costs associated with your job before the work even begins and our team will keep you updated on any expected changes as the job progresses. No matter what your plumbing or sewer issue is, we are confident our team can fix it – guaranteed! With decades of experience amongst our ranks, we have the experience needed to provide you with the service you deserve. Your satisfaction is our biggest goal. For scheduling, or questions, please call us at 410-255-9300 today, or book your appointment online and let’s get to work! My entire family has been using Maryland Sewer & Plumbing for years. Always fixed right. Always on time. A really good company. I couldn’t be happier with my experience with MD Sewer. It was the day before a holiday, and I was hosting family, but my toilet was overflowing. They showed up promptly, and got me squared right away! Thank you!